Team Grumpy is a joky name given to the Two-up team comprising Grumpy Bob and "Grumpy" Art Vanderlay, former clubmates now separated by a considerable geographic distance. We do however race together in 2-up time trials wherever possible, most notably at the Duo Normand time trial held in Normandy each September. 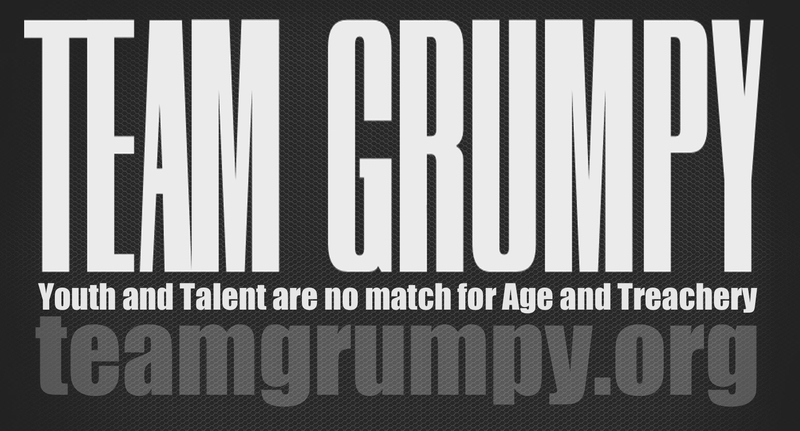 Team Grumpy has run a blog, the Team Grumpy Blog, since the end of 2008, hosted by Google's blogger site. You can access this within this site from the top navigation bar menu. Our blog is a rather light-hearted look at the world of time trialling, which rather belies how seriously Team Grumpy take the sport. But if we didn't laugh at the occasional (and inevitable) misfortunes, where would we be? Team Grumpy has used a variety of equipment over the years - we will write reviews of this stuff to try and give a user's perspective often following long periods of use. Similarly, we've had varying success at keeping a sensible and effective training programme going, against a changing backdrop of domestic and work commitments - we plan to write on the subject of training methods.